Harry B. Crow, Jr. graduated from the University of North Carolina at Chapel Hill in 1966 and from law school at the University of North Carolina at Chapel Hill in 1969. From 1969 until 1973, Mr. Crow served in the U.S. Army as a captain in the JAG Corp. During this time, he was stationed in Washington, D.C. with the U.S. Army Judiciary, was sent to language school in Monterey, California, and then was sent to Vietnam where he was assigned to the Military Assistance Command Vietnam and then served as an advisor to the Vietnamese JAG Corp., as a language instructor to Vietnamese Minister of Justice and Supreme Court, and as an instructor at the Faculty of Law, University of Saigon. From 1973 until 1975, Mr. Crow was employed as a legal advisor with the U.S. Agency for International Development, then part of the U.S. Department of State, and was stationed during this period of time in Vietnam. In 1975, Mr. Crow returned to Monroe, his hometown, and has been in the private practice of law since then. Mr. Crow is active in the local community and is currently the North Carolina state bar councilor for district 20B. Since Mr. Crow has been in private practice, he has tried and handled about every possible case. He has tried cases in civil court ranging from an attempt to recover a $50.00 tenant deposit to a major medical malpractice case. In criminal court, he has tried cases ranging from simple assault, even before a jury, to capital murder. 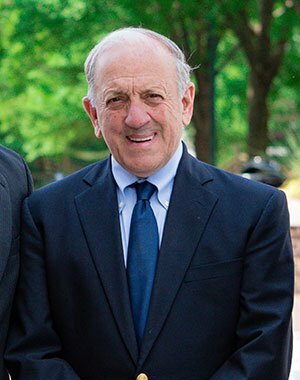 Mr. Crow has represented people before the Social Security Administration, the N.C. Industrial Commission, the N.C. Employment Commission, and other agencies. He has also handled real estate transactions, estate matters, and business transactions.